Hey guys! 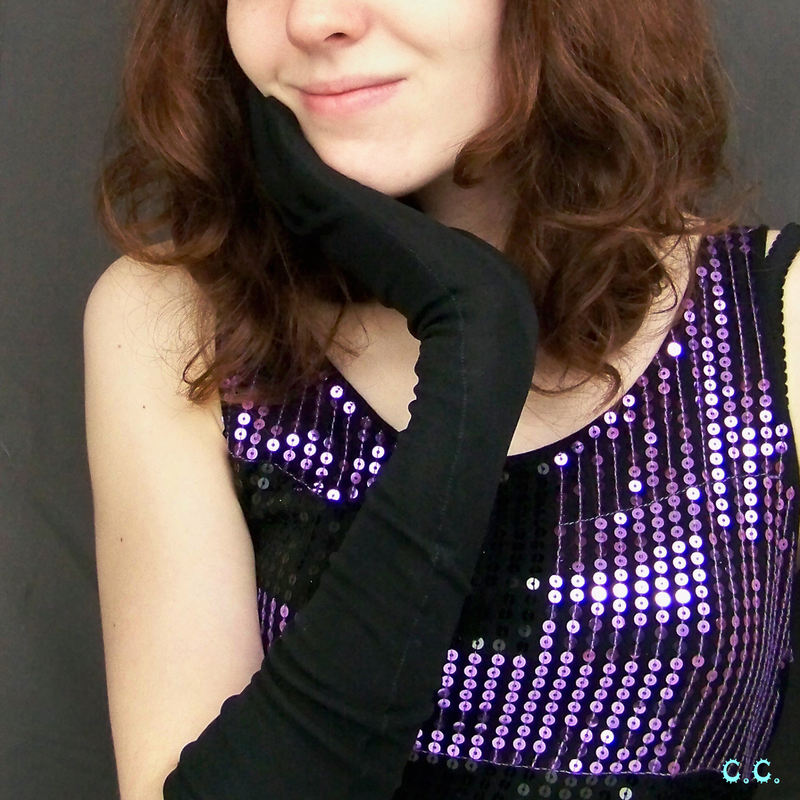 Today I have another refashion for you. 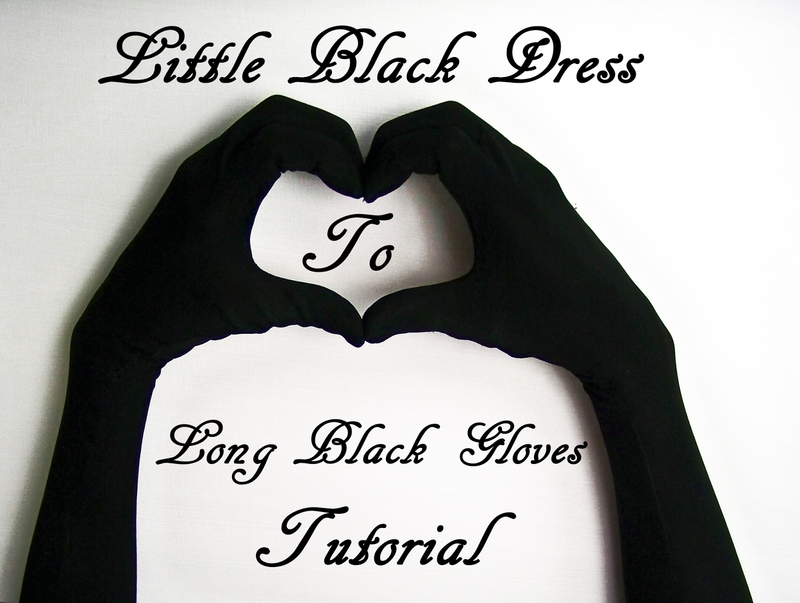 I turned a little black dress into a pair of long black gloves! They are pretty snazzy. LBD to LBG has a nice ring to it don't you think girls? I was looking around on Pinterest and found some great pictures of girls wearing long black gloves and I felt instantly that I needed a pair, for sophistication purposes. Mmmmmm I also love all the dresses the models are wearing. The bottom left is my favorite! 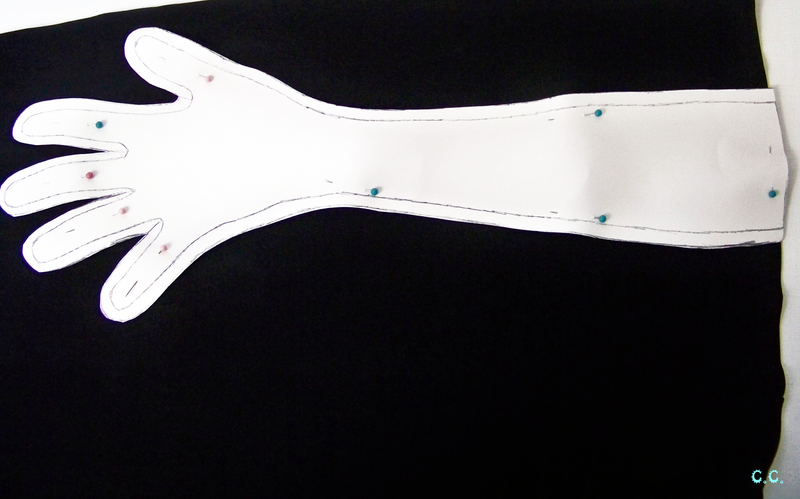 You can really use whatever fabric you want, but it needs to have a good stretch to work for a glove. I had a knit black dress that was ideal for this project. 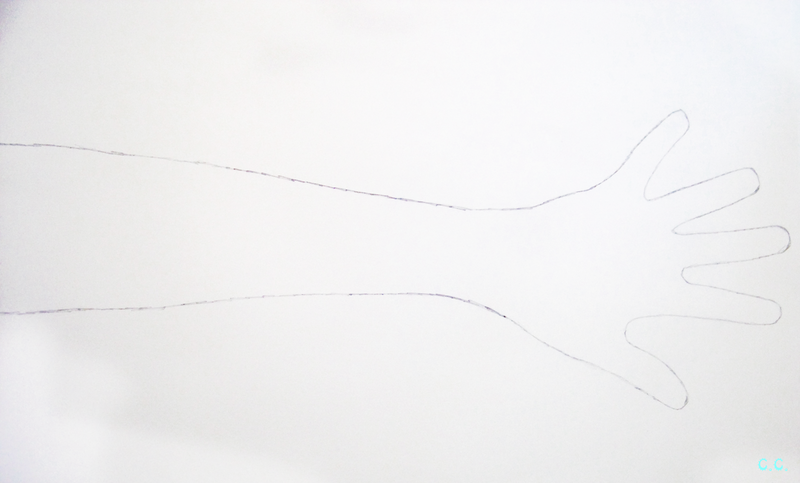 Step 1: Trace around your hand/ arm the length you want the gloves to be. 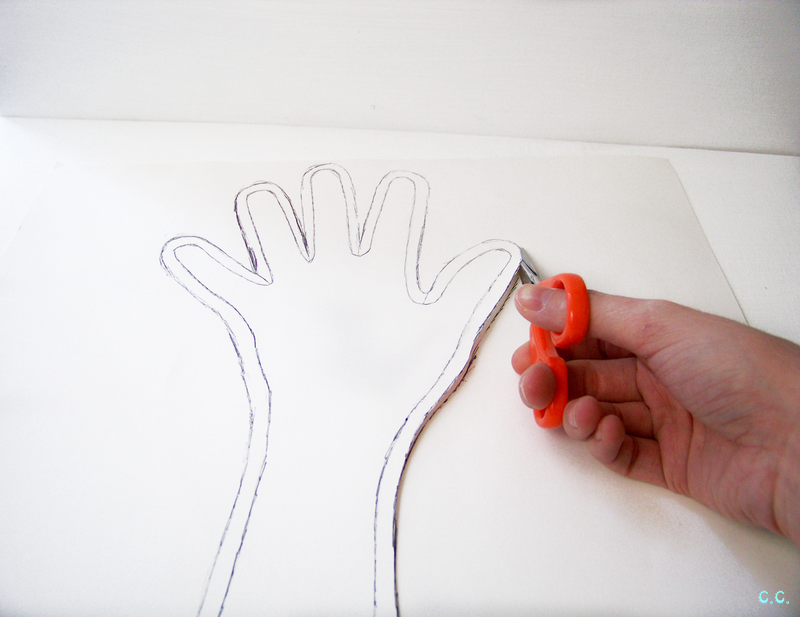 Step 2: Using your seam gauge draw a 1/4th an inch outline all around the hand, this will be your seam allowance. Cut the glove pattern out. 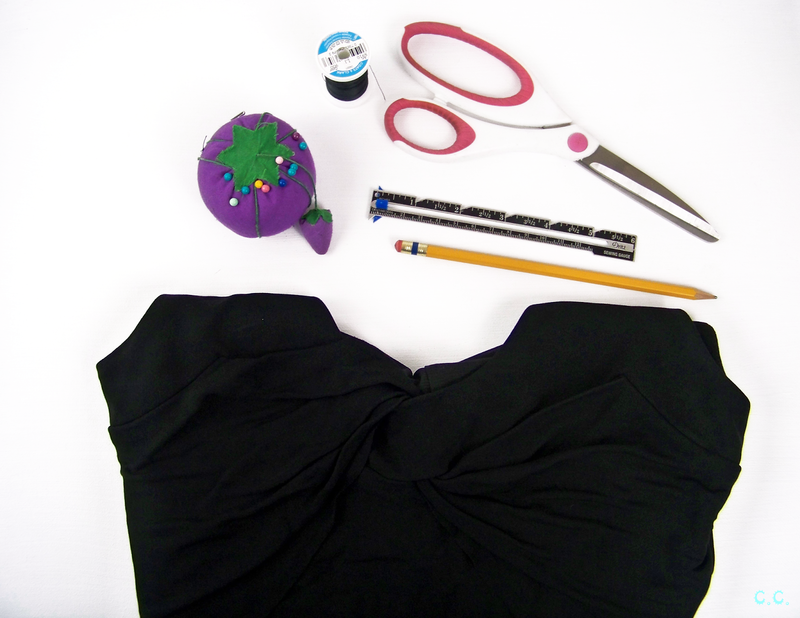 Step 3: Pin the pattern down onto your dress/fabric and cut around. I placed the edge of my glove at the hem so I wouldn't have to finish the end of the gloves myself. 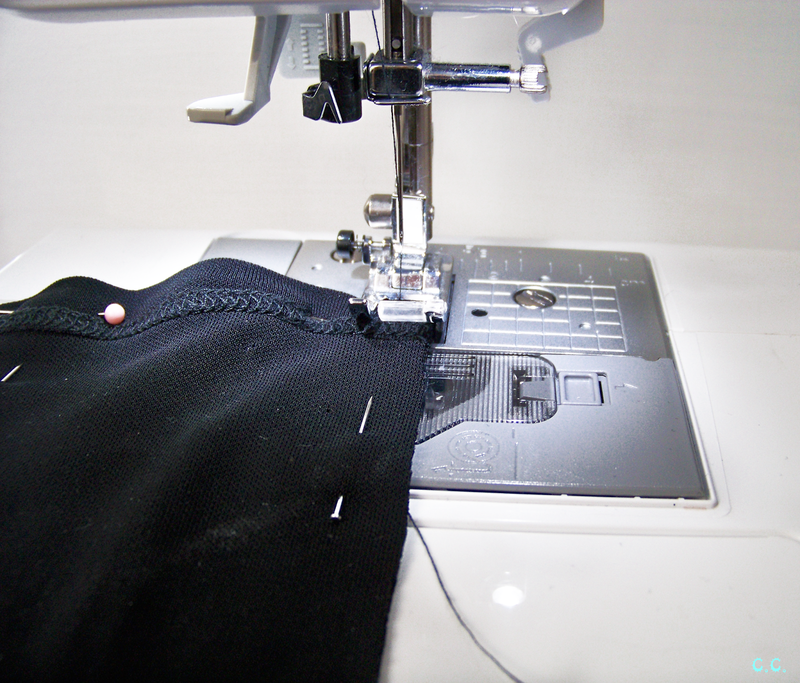 Pin the fabric pieces with the right sides together. 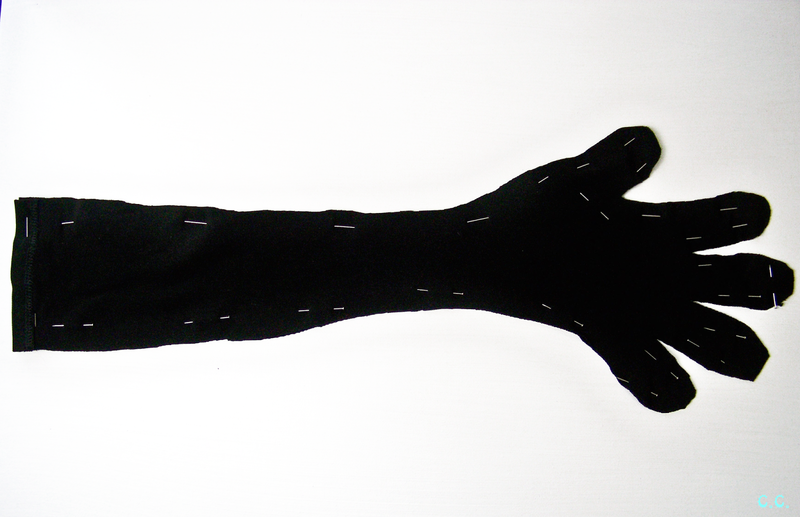 Step 4: Sew all around the glove with a 1/4th an inch inseam. Repeat steps 3 and 4 for second glove. 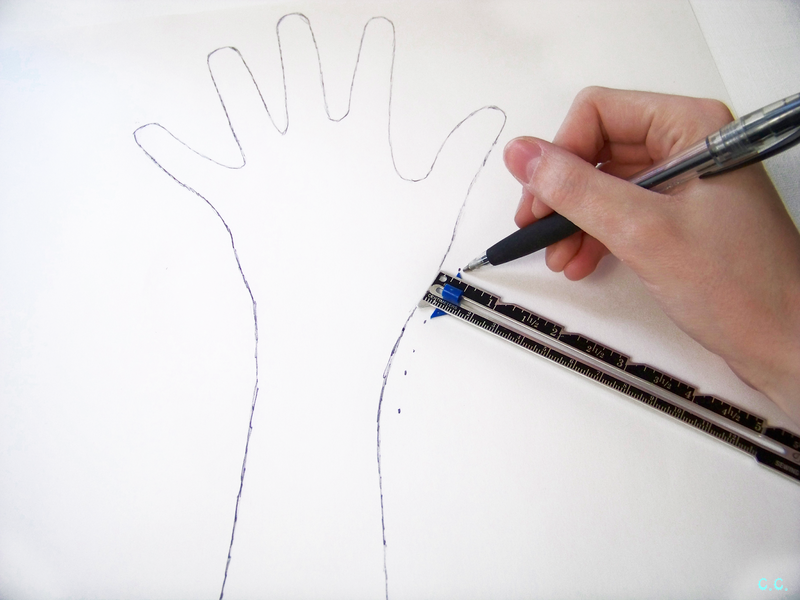 Be careful going around all the fingers, this part is difficult if you go too quickly. Tip: Before turning your glove right side out, try it on and see if the fingers fit comfortably, if they are too big or an odd shape, pin while the glove is still on and then resew, try on again and repeat until just right! I also think these gloves will go perfectly with my batman costume! I guess that perfectly showcases both sides of my personality right there, pretty purple dresses and batman. I have a whole big bag of clothes that is for refashioning purposes and I have so many ideas that I want to do a whole week or month dedicated to refashion projects! Let me know what you think, or if that is something you would like to see! P.S. I linked up here! Ahh lovely! Long gloves like these are hard to find, thanks for posting this tutorial! Your very welcome! I'd love to see if you make any!